1st Quality RESTGUARD Mattress Pad, 100% Polyester Fiberwoven flat pad with extra wide heavy duty anchor bands. Lumpless and seamless for an ultra smooth fit. 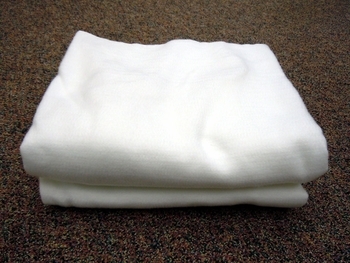 Completely machine washable and machine dryable. Will not shrink more than 2%, no matter how much you wash it! Firm-Lock stitched on all four sides. Super protection for your mattress!